Rumoured that calls will be recited for resignation of Health Minister. 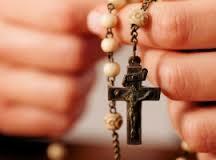 It’s rumoured that the Rosary is to be prayed outside hospitals in the province. The move is understood to be an expression of concern over growing waiting lists and lack of government investment in the health service. According to accounts, groups will assemble at hospitals in Sligo, Donegal, Mayo and elsewhere. It is thought that political interests are behind the action. Among other issues, it’s said calls are expected to be recited for the resignation of Health Minister Simon Harris. The 30-year-old was only appointed to the job less than a year ago. There is a view some TDs may take part. Sligo News File would welcome information about the date and time of vigils from the organisers.